With the holiday season on the horizon, you may soon find yourself wandering around local shops or the mall. Without a doubt, you will notice large signs with elegant type while you do your shopping. Some of these signs will look better than others, and you may wonder... “Why does certain type look more interesting and elegant than others?” Well, a lot of thought goes into it—more than what we can detail here. 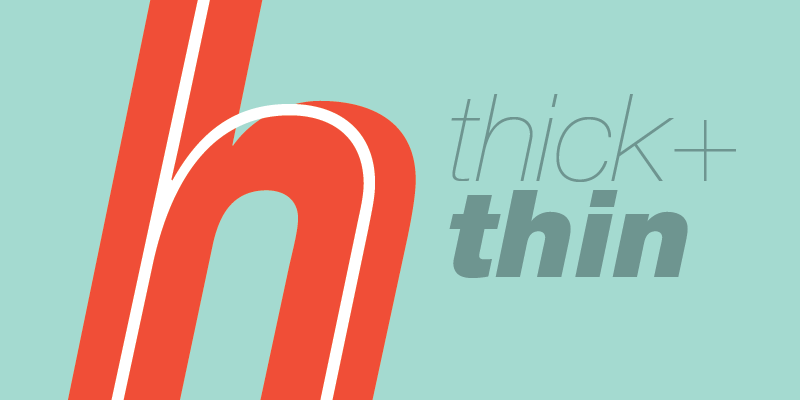 However, we wanted to share at least one secret that good typographers and designers use… thick and thin look great together. In fact, thick and thin are a match made in heaven. 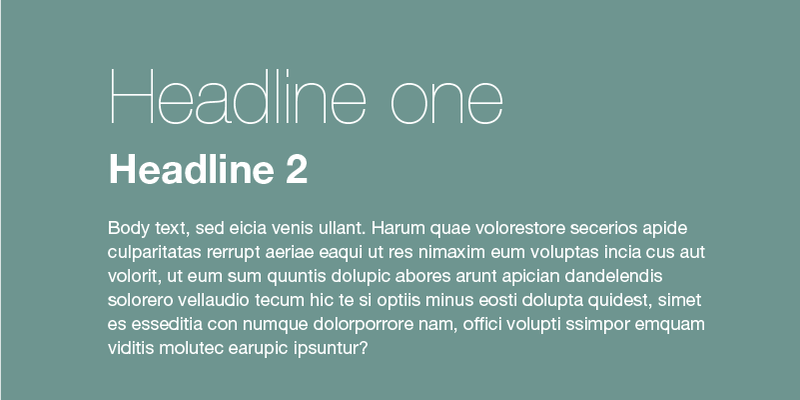 As you can see in the example above, they create a beautiful family—font family, that is. Headline 1 as the head of the family sets the tone; headline 2, the next in charge, backs up 1 with its solid presence; and the children, e.g. the body text, coordinate well with their parents. Together, they are a complete family and complete the look of a great layout. For the best layouts, it's best to choose a large family. A good family should be one filled with many weights. 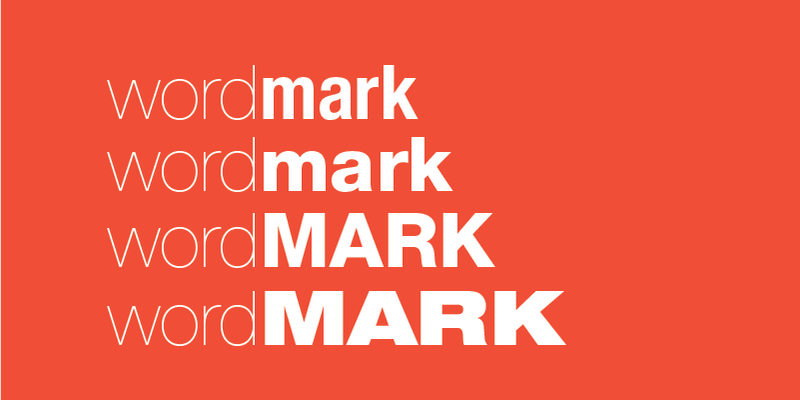 The Helvetica family shown in the example below has an ultra light, light, thin, roman/regular, medium, bold, heavy, black, and extra black—all these with extra characteristics including compressed, condensed, and extended. Phew… that's an extensive family, but hey, Mom and Dad Headline sure look good even with all those chatty body-text kids. Now this is a close-knit family that works well together, and they have many ways they help each other communicate. You can choose who in the family to pair with and can delineate each member using differing cases and widths. A good pairing can juxtapose so well that there is no need for spaces between the two. Look at those kids in the above example… they are inseparable. So keep your eyes out this season for good-looking font families as you shop. And if you want a good family connection for your brand this upcoming year, give us a holler here at The Image Shoppe.